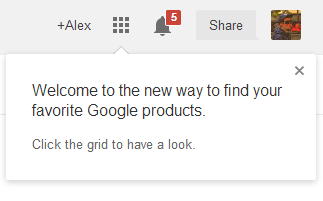 Google now shows a welcome message next to the app launcher icon: "Welcome to the new way to find your favorite Google products. Click the grid to have a look." The app launcher will replace the black navigation bar. For now it's still an experiment and you can enable it in Chrome. 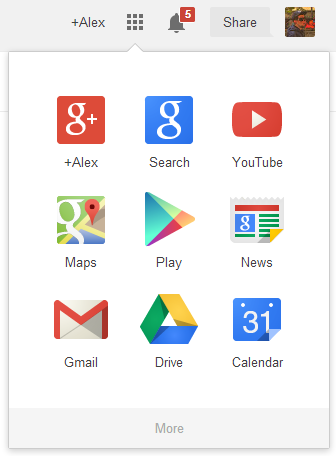 Google will have a special interface for Chrome and the Google homepage will replace the new tab page. In other news, Google's CSS sprite now has a high-resolution version that's great for devices like Retina Macbook Pro or Chromebook Pixel. All the icons, buttons, arrows and logos will look better.